The focus of the series will still be highlighting followers, however, it allows me to have a bit more flexibility on content, as well as when it will be posted, in case I choose to post on a day other than Thursday. For this month’s Grateful Thoughts (Thankful Thursday) I am highlighting the 2 winners of my “Celebrating 2000 followers” Giveaway, in 2 separate articles. JO ANN’S BOOK. FIND IT ON AMAZON. 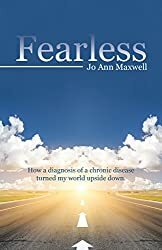 For more information on Jo Ann’s book FEARLESS, follow THIS LINK. I love reading Jo Ann’s work. (I just ordered her book, which I should’ve done LONG ago! So excited! I can’t wait to read it!) 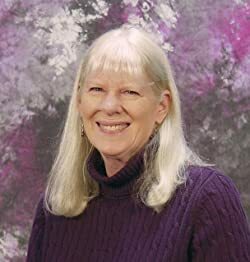 She has a wonderful, loving and calm voice to her writing style. It always calms my mind and brings me peace to read her words. I hope you can take a few minutes to go and check out her blog. I’d like to thank Jo Ann with my deepest, heart felt gratitude, for following me. She has been one of my strongest advocates and a huge supporter. Often she’s the first to leave a kind word about an article. THANK YOU, Jo Ann, from the bottom of my heart, for following me. Thank you for sharing your story, your struggles, your hope and above all, your FEARLESS SPIRIT with us. God bless you my friend. Oh my! What a beautiful article! I don’t think I deserve it, but thank you! I am so glad we have connected!